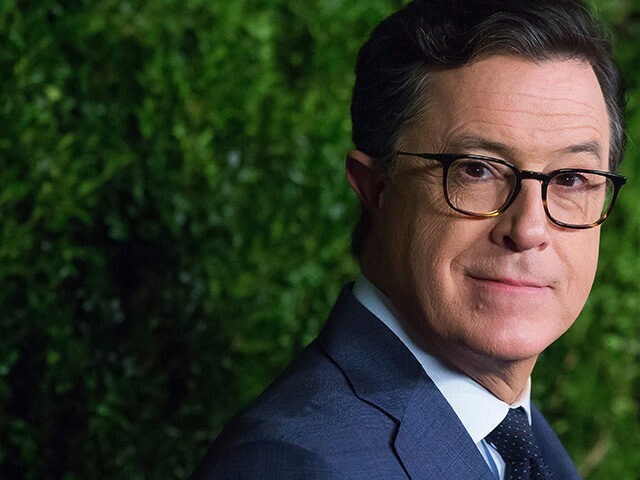 Stephen Colbert called Attorney General Jeff Sessions “evil” on Thursday for enforcing the “tragic” and “shocking” immigration policy of separating illegal border-crossing parents from their children. Colbert called the policy “new” but failed to mention the Obama administration instituted similar enforcement. “Let’s face it. The only things dads really want for Father’s Day is to be with their kids, which is why what’s happening on our southern border is so shocking,” Colbert’s Late Show monologue began. “Now if that sounds evil, then good news, your ears are working,” Colbert said. Colbert’s enraged five-minute rant against President Donald Trump’s immigration agenda failed to mention how Barack Obama implemented similar border policies of separating children from their parents and sheltering the minors in separate facilities. The children are being temporarily housed at Lackland and facilities in other states to alleviate crowded conditions at federal holding sites on the border. Cruz said 145,000 unaccompanied minors, mainly from Central America, are expected in the next year — most of whom say they are coming because they were promised “ permisos” — what Cruz calls amnesty. “That is unacceptable,” he said. Colbert continued to his lecture decrying the Trump’s administration’s plan to build a tent city close to El Paso, Texas, meant to house hundreds of young border crossers.